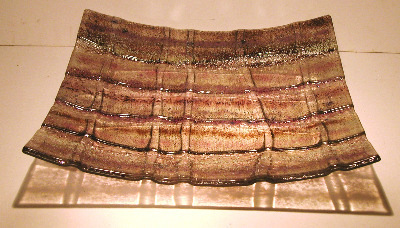 This fused glass dish is made from float glass with lines of different shades of pinks and purples. There are bubbles of colour trapped within the piece and further interest is added in the suface texture on both the upper and lower surfaces. The dish is 30cm square.